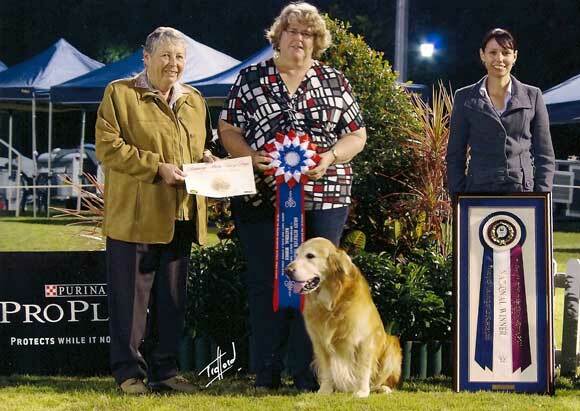 The Golden Retriever Club of Queensland Incorporated would like to thank everyone that supported our Club at the recent National. It was a huge success. Congratulations to all the winners. 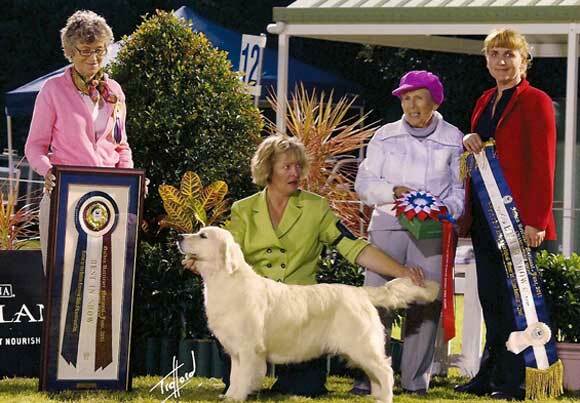 Best in Show 2011 8th Golden Retriever National Ch Giltedge Angel Dust. Pictured here with judge Anni-Malte Rasmussen (Denmark), owner Kim Handley, Shirley Sullivan and President Melanie Rennie. Tullamore is co-owned by Darlene Petterwood. 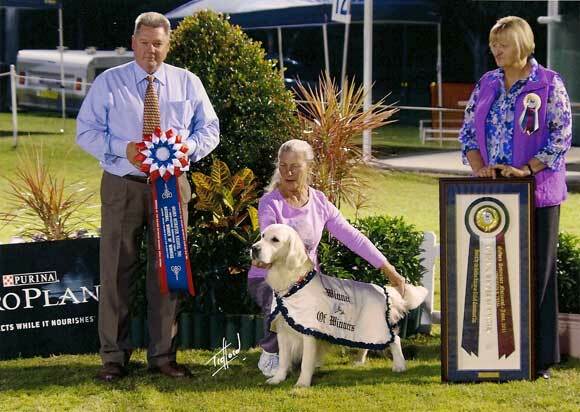 Obedience Winner of Winners 2011 8th Golden Retriever National Ch Yellowfetch Mr Sandman UD. 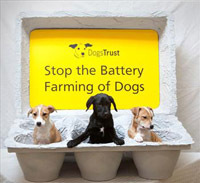 Pictured here with judge Mr Brian Fielder (SA) owner Maureen McDonald and judge Lyn Klecka (VIC).